Paul Gosling is a writer, public speaker, broadcaster and researcher. He specialises in the economy, accountancy, government and the public sector, the co-operative sector and personal finances. A freelance journalist for nearly 30 years, Paul has written for most quality UK and Irish national newspapers. He contributed the weekly Questions of Cash column for The Independent’s personal finance section for more than a decade and was published in The Independent titles for virtually every week for 26 years. Paul’s work has also appeared in the Financial Times, The Times, the Irish Times, the Sunday Times, the Mail on Sunday, the Express, the Daily Telegraph, Ireland’s Sunday Business Post, the Irish Independent and in more than a hundred magazines. He is the appointed ‘Brexit expert’ for the Holywell Trust, producing podcasts and blogs on the impact of Brexit on the North West of Ireland. In addition, Paul writes a monthly analysis article for The Detail website. Paul has worked with several universities copy editing academic blogs, to undertake research, produce course material and as a guest lecturer. 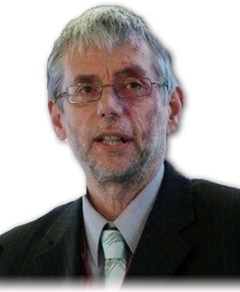 Paul has written several other books and booklets on various subjects, including the use of information technologies and public policy development. His most recent book is The Fall of the Ethical Bank, which explains the background to the crisis at The Co-operative Bank. It is published by Co-operative Press. A frequent commentator on the economy and politics for BBC Radio Ulster and Radio Foyle, Paul has also appeared on BBC1, BBC2, Radio 4, Radio 5, UTV, RTE, in several television documentaries and on Russian and German radio. Paul was active in politics in the 1980s and 1990s, serving as a Labour and Co-operative councillor in Leicester from 1987 to 1991. He maintains a close interest in UK, Northern Ireland and international politics. “A chilling reminder of how charismatic abusers were able to operate for so long in the system despite countless warning signs.” Christian Wolmar, author. “An in-depth analysis of one case among many, involving members of the ‘establishment’, where child victims of sexual crime, adult supervisors and professionals supporting them have been silenced and denied justice.” Dr Liz Davies, London Metropolitan University. I regularly write for a number of local, national and trade publications. I have written several books on a variety of subjects.